Lisa is a Masters-level licensed independent social work supervisor who has more than 20 years of social work experience in the field of healthcare. She has worked in substance abuse facilities, rehabilitation hospitals, and over 35 nursing homes as a clinician, consultant, or supervisor. As a ventilator social worker, she became passionate about the critical need for conversations between patients, their families and physicians about healthcare decision making. As a result, she developed a unique strategy to reduce healthcare costs in corporate America. In 2010, Lisa began writing for the dental industry. 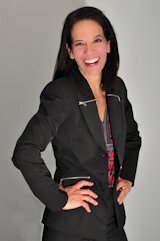 She has published over 70 articles with Dentistry IQ and Dental Practice Management. Her articles have been republished, with permission, on various dental websites. She is an award winning writer and speaker. Her article Top 10 things you can think but never say to a dental patient (June 2014) went viral with more than 29,000 viewers reading, tweeting, or sharing the article. Her company Discuss Directives, LLC was created in 2010 to provide continuing education programs and humorous wellness programs on topics such as life/work balance, end-of-life decision making, workplace bullying, and suicide prevention. This led to the development of the Heart2Hearts® product line. These are unique products developed for the military, schools, professionals and the public to encourage communication about difficult issues. In 2012, Lisa partnered up with a team of experts coordinating innovative wellness programs addressing the issues employees face regarding retirement in Fortune 500 companies. She saw there was a need for entertaining programs that get results. A graduate of The Ohio State University (B.S.S.W.) and Loyola University of Chicago (M.S.W. ), Lisa volunteers for Medworks, an organization that delivers free healthcare, medical care, eyecare and dental care to Ohio's uninsured and underinsured residents. See a list of Lisa's upcoming appearances. Sam graduated from Cleveland Marshall College of Law, was admitted to the Ohio Bar and is now in his 29th year of practice. Since graduation from law school, he has completed advanced studies in Medicaid and Long-Term Care Planning. Sam is also a member of a national organization of attorneys that specializes in training lawyers in cutting-edge estate planning strategies. The distinguishing feature of Sam’s practice is an education process that simplifies the complex area of estate and Medicaid planning and enables clients to choose an estate plan based on clear value distinctions. Sam also assists clients in qualifying for Veterans Benefits. Though Sam practices law full-time, he received a Bachelor of Science in Pharmacy Degree from Ohio Northern University as an undergraduate, and is a licensed Registered Pharmacist in Ohio. Sam’s knowledge of medicine, Medicare, Medicaid, and the healthcare problems faced by seniors as well as those with special needs are a value added benefit to his elder law and estate planning clients. He has been sharing his expertise with Discuss Directives, LLC audiences since 2012. Aimee Butler is an independent insurance agent who has worked for Bankers Life & Casualty, Mutual of Omaha, and currently KAZ Company. She is licensed with the State of Ohio for life & health insurance, and is certified with multiple carriers to offer a diversified portfolio of plan options. Life insurance, disability, critical illness, long-term care, and health insurance are concerns of her clients still working. Reviewing plans and individual needs provides peace of mind. Her thorough knowledge of Medicare health plans allows her to continue the health care conversation with clients ready to leave group insurance, and confused about what their options are. With a natural ease and conversational approach to education, she ensures clients feel they have learned about the insurance that fits their needs, rather than being sold insurance that fits their needs. Continuing her educational philosophy, Aimee teaches a Turning 65 class at Cuyahoga Community College, is a member of ASA (Association of Specialists on Aging) and The Asa Cox Homes Realty—Senior Division Team (Medicare Health Plan specialist). She has been sharing her expertise with Discuss Directives, LLC audiences since 2013. Dr. Stephen Fairchild received his bachelors in Biology, Health and Physical Education from the University of Georgia. As an undergraduate student he was a three-sport scholarship athlete in track, cross country, and wrestling. Dr. Fairchild also attended Southwestern Seminary where in 1993 he earned a Masters in Theology and Biblical Languages. In 2006 he completed his Doctoral program at the University of Georgia earning his Ph.D. in Social Foundations of Education, his focus of research being Philosophy of Education and Curriculum Development. Dr. Fairchild has been teaching for 25 years, the past 14 with the Gwinnett County School District, Georgia. Prior to teaching high school, Dr. Fairchild was a college chaplain, adjunct professor, and motivational speaker having worked in over 20 different countries. More recently he has been a speaker at conferences for the New England Philosophy of Education Society, the American Educational Studies Association, the Character Education Partnership, and the Southeastern Philosophy of Education Society. In 2002 he was selected to represent the United States as a speaker at the China-U.S. Physical Education Conference for Best Practices K-12, which was held in Beijing. Dr. Fairchild is the co-author of the virtual course “Ethics and the Law,” and is presently writing a book on character in the workplace. Julie is admitted to practice law in Ohio and Florida. Her practice focuses on estate planning, federal wealth transfer taxation, estate and trust administration, fiduciary income taxation, business succession planning, asset protection and probate and trust litigation. Julie has counseled numerous individuals, families and business owners throughout her career and has created estate plans ranging from simple wills and trusts to plans utilizing highly sophisticated planning and estate tax planning techniques. Julie is an Ohio State Bar Association Certified Specialist in Estate Planning, Trust and Probate Law. Julie earned an LL.M. in Taxation at the Case Western Reserve University School of Law in 2005 and earned her J.D. Degree from the Cleveland-Marshall College of Law in 1998. She has been sharing her expertise with Discuss Directives, LLC audiences since 2012. Chris Fisher is an insurance agent at The Koptis Organization with over 23 years of experience in the insurance and financial services industry. He specializes in knowing the strengths and weaknesses of each product, which allows him to solidify a client’s long-term strategy. He has a thorough knowledge of life insurance, long term disability, long term care, annuities, worksite marketing and lifetime settlements. His optimism and energy are strongly balanced with analytical bottom-line thinking that allows him to focus instinctively on the priorities of others. Chris received his BSBA degree from Belford University and has an FMLI designation from the Life Office Management Association (LOMA). He currently holds his Life & Health Agent license and a Viatical Settlement Broker license for Ohio & Florida. In addition, he is currently a member of the Technical Advisory Group at Pacific Life Insurance Company and a member of the Long Term Care Product Committee at John Hancock Life Insurance Company. Dee Yezbak is a financial advisor at Beacon Financial Partners with over 33 years of experience in the financial services industry. She has cultivated a wide span of knowledge and is a trusted financial advisor with the distinction of being one of the youngest ever to be registered with the New York Stock Exchange. She feels strongly that an educated client is the best client, and is enthusiastic about helping each individual client navigate the various investment platforms and strategies available. Dee is instrumental in helping clients preserve wealth and execute their financial life goals. She holds the NASD Series 3, 7, 63 and 65 registrations. Her areas of expertise include financial planning, wealth management, investments, estate planning, charitable gifting, and business succession planning. "You built a core of strong leaders (at Rockwell Automation) ready to push themselves to be great! That is a testimony to the stellar leadership you demonstrated."